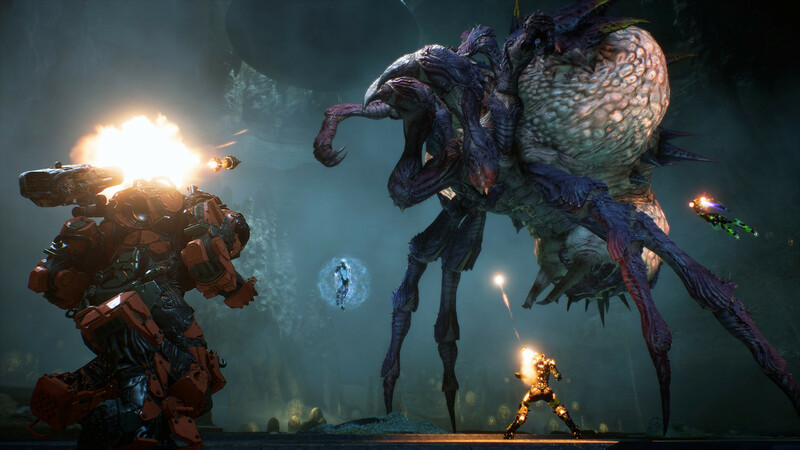 Can Bioware's latest match the pedigree of their past, or is it destined for failure? For a long time, there were three easy phrases you could use to tell someone how worthy of their time a new game was: “Buy it”, “Skip it”, or the now obsolete “Rent it”. Unfortunately, a new category is quickly becoming part of the gamers' vocabulary: “Wait six months to play it”. Anthem falls squarely in this new category. In most cases, this phrase is used because a live service game is launched with server issues and a multitude of bugs. 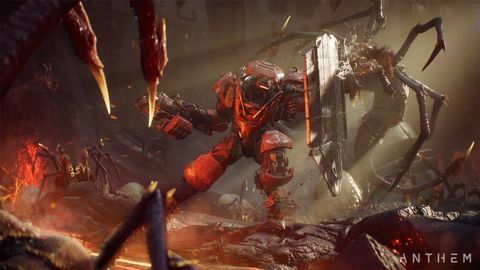 In the case of Anthem, the launch has been accompanied with not only these issues but also some much larger problems with how the game approaches progression and quest structure. Issues I hope can be addressed over the first year of the game. there is a core loop and gameplay experience that could be incredibly gratifying to the right kind of gamer –although, that gamer likely isn’t a Bioware fan. I hope this because, despite these problems the game has had at launch, I still don’t think it lands in the “Skip it” category. 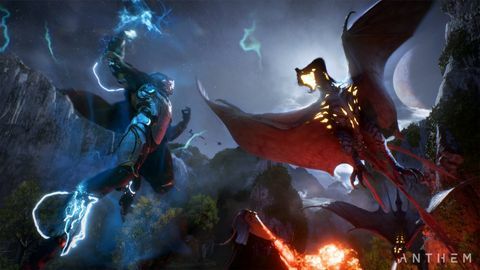 Underneath them, there is a core loop and gameplay experience that could be incredibly gratifying to the right kind of gamer –although, that gamer likely isn’t a Bioware fan. Traditionally, what Bioware fans have loved about their games is the story, and more specifically, character development and relationships. 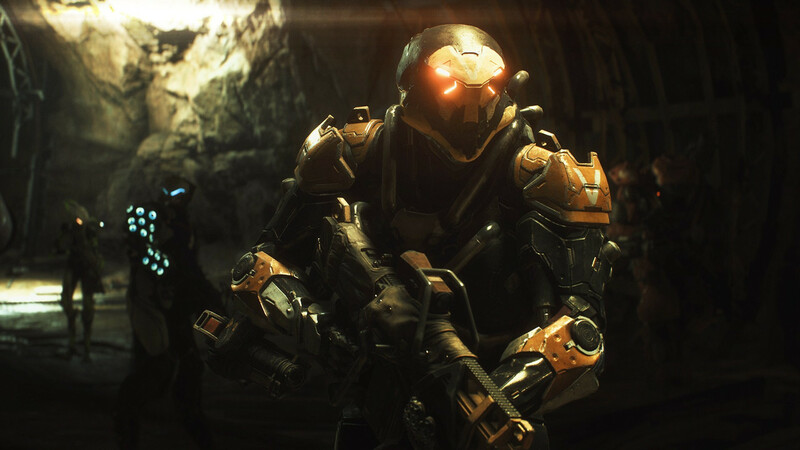 Though these aspects of Anthem are serviceable, they are far from the calibre Bioware fans, like myself, have come to expect from their games. The premise of the game is interesting, just not explored as organically or satisfyingly as in games such as the Mass Effect trilogy. 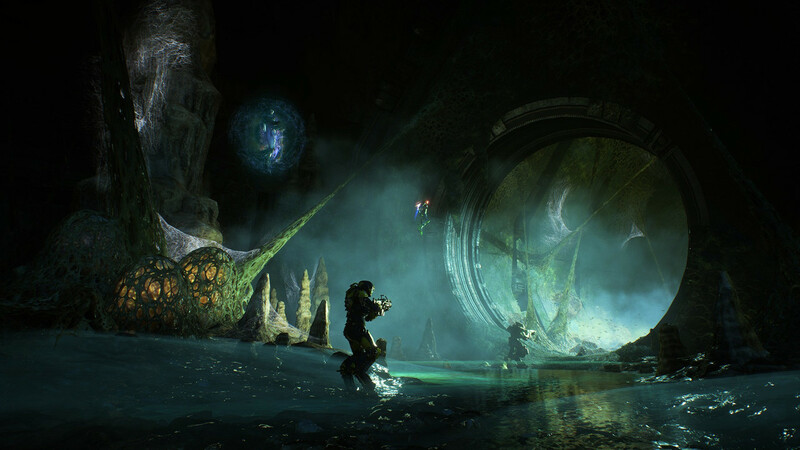 Anthem is set in a world filled with relics that can harvest an energy source called The Anthem of Creation –relics believed to have been created by a godlike prior civilisation. Unstable relics can spontaneously terraform sections of the planet, creating terrible weather events or mutating animals into terrifying beasts. It is in this setting that humanity struggles for safety and stability amongst the pressures of warring political factions of mankind and a history of enslavement by other species. On paper, it is actually a very interesting and complex scenario. But, in practice, I never felt compelled or particularly connected to the backstory or unfolding narrative as much as the synopsis indicates I might have. cutscenes contain the compelling character development and scenarios I love in Bioware, but completely without the input of me as a player and the consequence of my decisions. Mostly, this is because multiplayer games like this just don’t lend themselves well to storytelling. In a game like Mass Effect, quests would intersperse narrative throughout periods of action and exploration. 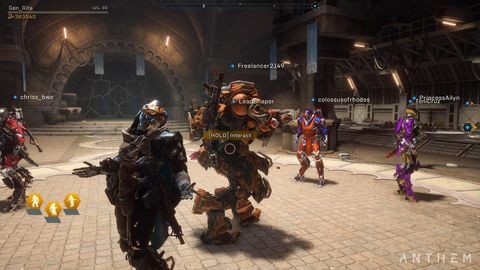 Anthem mostly tries to do this by feeding you a stream of audio from characters in your earpiece throughout missions. But not only is this an unsatisfying approach to building a narrative, but this stream of audio is often nothing more than an annoyance when you are using party chat. There are moments where larger missions cut into non-interactive cutscenes which you and your team watch together. It was during these cutscenes that I truly mourned how far astray this latest Bioware game has fallen in its storytelling. Firstly, it is just awkward to watch an extended cutscene with four other people. Secondly, these cutscenes contain the compelling character development and scenarios I love in Bioware, but completely without the input of me as a player and the consequence of my decisions. As a result of this approach, I never felt the personal investment in character and story that has been evoked by previous Bioware games. I would get this same twinge of mourning while interacting with characters during the first-person moments at your base, Fort Tarsis. There, you can walk around and talk with characters at your leisure, occasionally choosing between two responses which seem to have no consequence beyond letting you build a sense of your own characters thoughts and feelings. Without meaningful consequence to these interactions, ultimately, they just come off as superficial. That said, these interactions often do have a certain charm to them. They are well written, often leaning into quirky conversations that gradually lead to some emotional and revealing expansion of that character and their past. Plus, the new performance capture style being used by Bioware is cutting edge –with characters facial expression and body language among the most realistic achieved in games so far. Many of the characters are also voiced by some surprising talent, including Jack McBrayer from 30 Rock, Kristen Schall from Flight of the Conchords and Joe Lo Truglio from Brooklyn 99. Though, in truth, I wish these famous voices hadn’t been involved. Like Destiny and Peter Dinklage, just because you can get a famous voice actor doesn’t mean you should –the familiarity of these voices is generally more distracting than it is endearing. 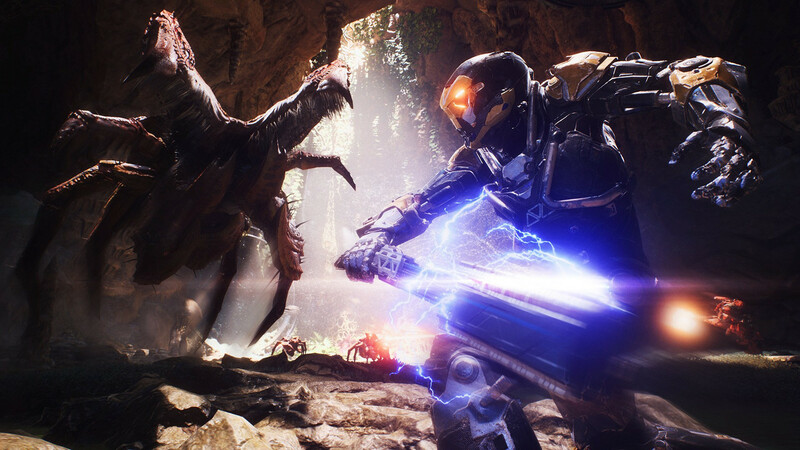 Despite the misses in storytelling, it is the gameplay that holds the most future potential for Anthem. Flying around and maneuvering in the Iron Man-like javelin suits is incredibly gratifying and the ways it interacts with combat equally so. My favourite moments playing this game were darting in and out of combat encounters while throwing out a mixture of impressive abilities and popping off headshots. 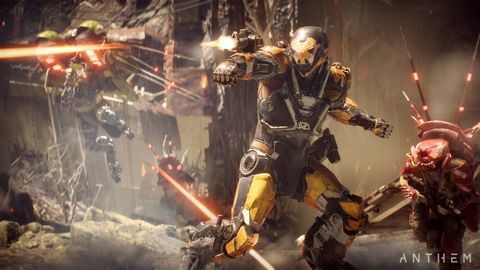 Despite all of the comparisons that can be made between Anthem and Destiny, the most complimentary is that they have done a great job replicating the ‘30 seconds of fun’ gameplay loop that has made Bungie so popular. There is also a great variety to be explored, both in your gameplay approach with the four different javelins and the ways that these different javelins can combine forces in combat. My favourite javelin, hands down, is the storm. The ability to hover above the battlefield scratches many gameplay itches that I didn’t even realise I had. Plus, pulling off elemental combos is both crazy powerful and deeply satisfying. There was a lot of fun to be found in the combat style of every class. At first, I couldn’t see why you would play as anything but the storm. But after a bit of experimentation, I found myself darting around the battlefield with a shotgun as the ranger and realised that if you adapt your playstyle, there is a fresh and fun experience to be had with every class. For the first 15 hours, the quests through which you engage in this gameplay loop are serviceable, if not forgettable. However, it is likely that at this point you have heard of the train wreck questline that is the tombs of the legionnaires. A questline consisting of the most blatant and egregious list of grinding tasks I can remember –tasks you must complete in order to progress. Menial tasks, like opening chests and finding collectibles. I just cannot fathom the thought process involved by the development team in plonking this brick wall of a questline in the middle of their game, but it comes off as a lazy and incredibly frustrating way to beef out the mid-game. But, if you haven’t been following the online outrage, what took this questline from annoying to infuriating is that many of these menial tasks were designed so that only one member of a party got credit for them–essentially quadrupling the amount of time it took to finish these tombs. However, this is just one example of a long list of poor design decisions, bugs and server issues that have dragged the launch of this game way down and ultimately put it into the“Wait six months to play it” category. I don’t want to harp on any one of these issues too strongly, simply because there are so many I experienced, and they are slowly being chipped away in updates by Bioware. What I will highlight is the effect, which is that playing this game in the first few weeks has made me, and every other early adopter feel like a paying beta tester. That is why the verdict is 'play it in six months'. Hopefully, by that stage, Bioware will have managed to pull the ’30 seconds of fun’ created by the fantastic interplay between flying metal suits, gunplay and abilities, out of the sea of technical and poor design decisions which are currently bogging the entire experience down. But, even then, this is an experience which will only appeal to certain kinds of gamers, and if what you’re primarily looking for is a Bioware experience, then I don’t think this game will ever be for you. 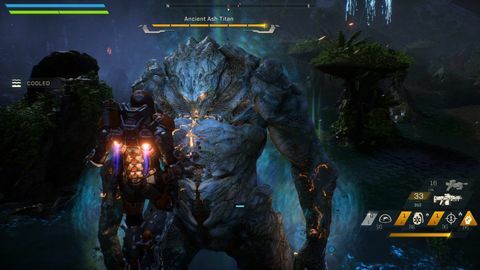 Anthem is a game with unmet potential at every turn. The gameplay is fantastic and recreates the ’30 seconds of fun’ that has made its competitor Destiny such a success. But in its current state of bugs, server issues and poor design decisions, it is planted firmly in the ‘play it in six months’ category. Continuing the trend of being "Not Destiny"
Yes, there'll be matchmaking - but don't expect to share.